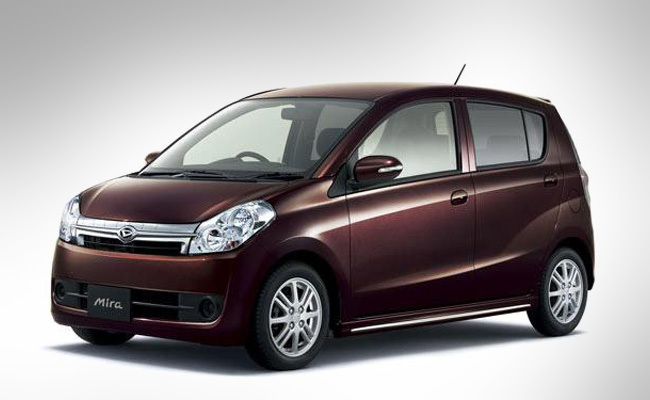 The Chinese are famous for their unique and copied ideas and, they also have made everything available in the reach for common man, of course, in order to do that, they had to compromise a bit on quality. Sometime in the recent past, a Chinese grand-father built a tank for his kid because he wanted to. But remember Jetsons? How Mr. Jetson’s car would fold up into a hand-carry briefcase? A Chinese guy thought he could as well push a button but turn his motorcycle instead of car, into a suitcase instead of a briefcase. So, a suitcase that you don’t need to carry everywhere but instead, it will carry you everywhere. Consider me sold! 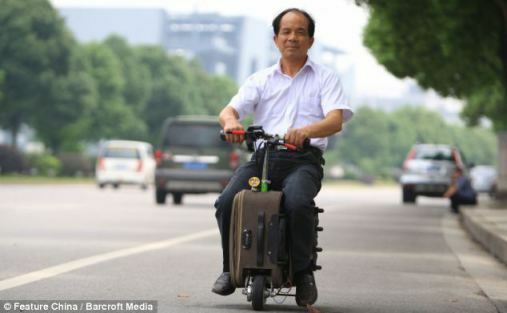 After a decade’s hard work and determination, Liangcai from Henan province of China built up a suitcase bike. Having two back wheels and one front like a three wheeler vehicle, the suitcase motor bike has the ability to run as fast as 12 miles per hour. This rechargeable suitcase bike could cover 37 miles with a single charge. An interesting thing about this bike is that it can carry your girlfriend or another passenger at the same time as well. Apparently though, you can, but I’m sure she will not sit on the backseat of a suitcase bike as it will then make it move on a snail’s pace. 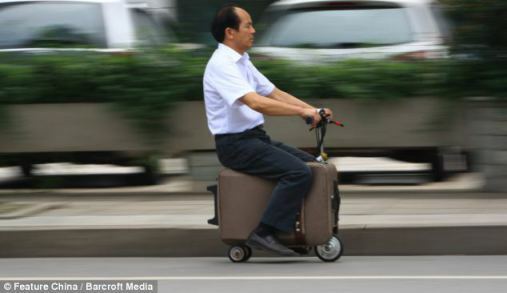 Lithium batteries are attached to this small suitcase bike which are rechargeable. And, the bike can still perform some functions of a suitcase as you can carry your cloths by just opening the zip of your suitcase where you are supposed to sit afterward putting your clothes inside as you normally do and enjoy your suitcase ride. The total weight of this suitcase bike is just 7.5kg and that means it is just over the hand carry weight but enough to put it in luggage.